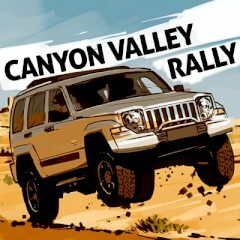 Take part in the fascinating Vallay Rally! Enjoy the beauty of the canyon while driving! Use the arrow keys to move! Leave your rivals far behind and become the winner!